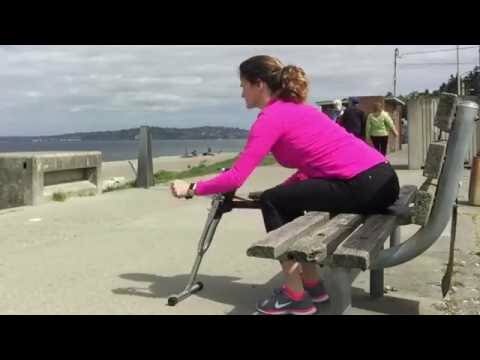 Excy is a portable cross trainer ready for all! We are so excited to announce the general availability of our Excy systems! Excy is a lightweight, compact, and versatile upper and lower body cross trainer that offers gym quality cardio and resistance-based strength training at home, work, or on the go! And, it has a mobile coach! Just remember, we have found that most people want to use Excy for their entire family, so take that into consideration with your purchase. If kids will be using Excy, you should consider a Bar Package. So, which one has your name on it? Be ready to work some deep tissue muscles and your core with a little cardio too. Without the Keeper, it will scoot and the Bar will also give you stability that most will need! This is our secret sauce! It is the Excy Strength Package upgraded with the Excy Keeper. With the Excy Keeper, riders can conveniently turn what they already have—a chair, table, and floor—into a robust total body cross trainer by simply placing their body weight on the Excy Keeper, whether in a standing, kneeling, lying, or sitting position. The Excy Keeper prevent the cycling system from scooting away, a common complaint about portable exercise machines. You Want it All? Then You Need the Excy Ultimate System! You get all the stability and versatility that Excy has to offer! Excy can be quickly converted into a recumbent exercise bike using any chair, a sitting or standing upper body arm exercise cycle, or a recumbent floor exercise cycle. Weighing only 10 pounds and easily folded to store away and transport, Excy can match or exceed the calorie burn of high-end elliptical machines, treadmills, row machines, and spin bikes—all without isolating users to a facility, a room, or even four walls. It is the perfect portable cross trainer!